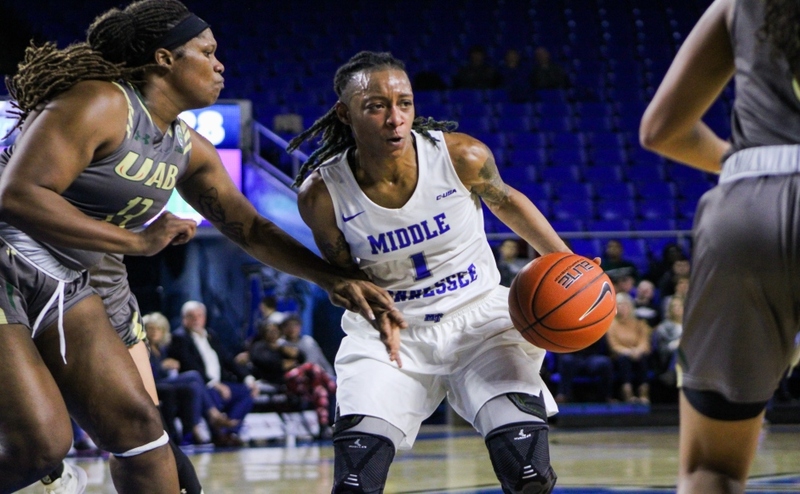 The Middle Tennessee State Lady Raiders basketball team had a busy week over Thanksgiving. They began their stretch of games on Monday against Belmont where they struggled to shoot the ball. 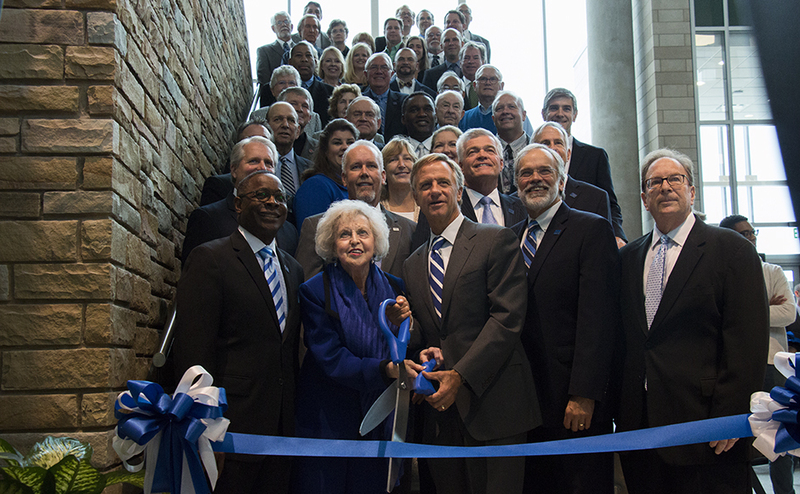 However, MTSU bounced back and won out for the remainder of the week. They had finished their homestand against the Mississippi Valley Delta Devils on Wednesday and then finished the week by winning the UNLV Lady Rebel Tournament in Las Vegas. See how the games unfolded for the Lady Raiders below. The Lady Raiders basketball team fell to crosstown foe Belmont at the Murphy Center on Monday night, losing 45-38. In a game that can most adequately be described as a war of attrition, points came at a premium for both sides. 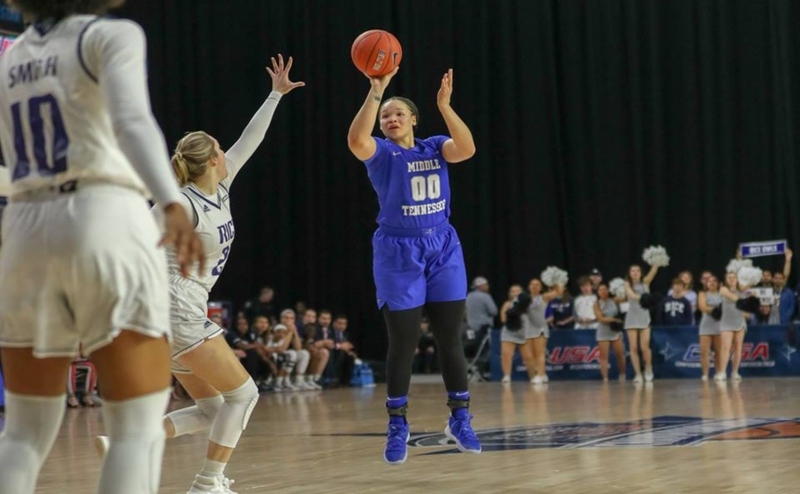 The Lady Raiders grabbed an early lead to start the game when reigning Conference USA player of the week Alex Johnson connected on a three-pointer and eclipsed 1,400 career points in the process. 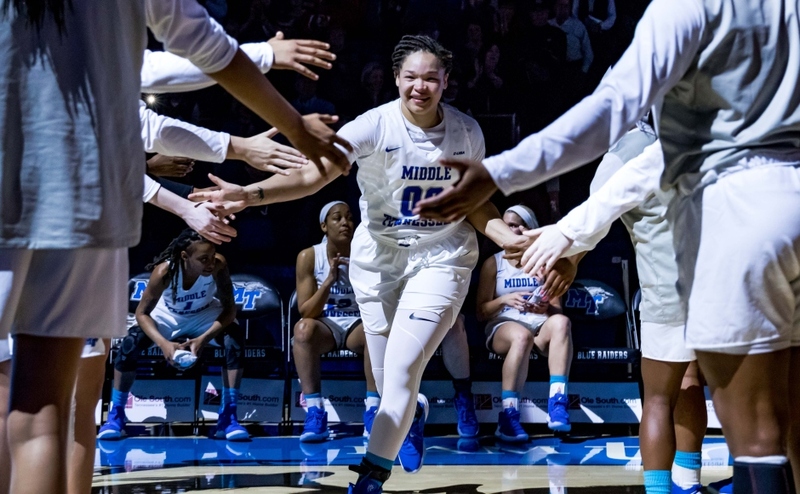 Middle Tennessee had little to celebrate for the remainder of the first half, however, as they suffered a scoring drought for nearly eight minutes. Fortunately for the Lady Raiders, Belmont struggled from the field as well, shooting just 20.8 percent in the first half. 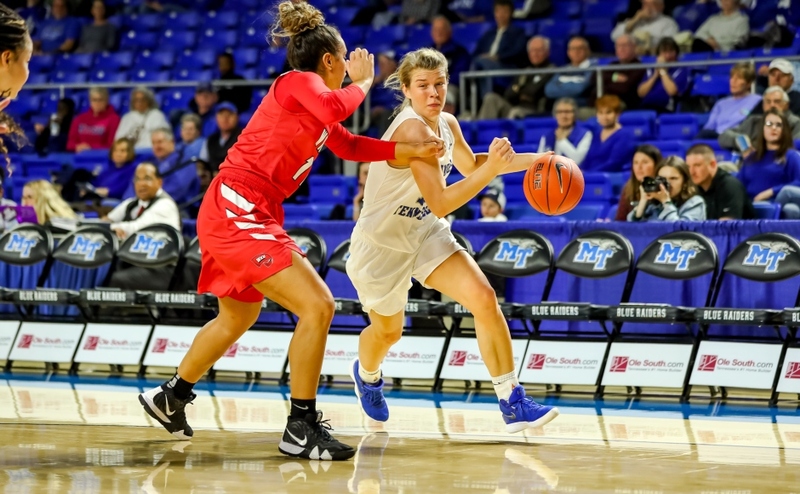 Foul trouble was a major issue for MTSU, as they racked up 10 team fouls through the first 20 minutes, leading to seven made free throws for the Lady Bruins on 10 attempts. Couple that with the fact that the Lady Raiders went 0-2 from the line, and that allowed Belmont to carry a 17-16 lead into the half, despite having only made five field goals. The second half was more of the same for both teams, as neither side shot over 30 percent in the third quarter. MTSU briefly retook the lead midway through the quarter on a layup by Johnson for her first points since scoring the game’s opening basket. Belmont quickly answered back and carried a 28-25 lead into the final quarter. The Lady Bruins gained some separation in the fourth, building a 10-point lead with four minutes to play. An Alexis Whittington three-pointer cut the lead to just six with under two minutes to play, but an inability to string together consecutive made baskets would quell any notion of a comeback for the Lady Raiders. A’Queen Hayes, who finished with six points and 12 rebounds, fouled out after 29 minutes of action. Johnson ended up as the leading scorer for the Lady Raiders with nine. The Lady Bruins had three players score in double figures with Darby Maggard leading the way with 12. Both teams shot less than 25 percent from the floor for the night, with the glaring difference in the game coming from the free throw line, where Belmont had a 22 to seven advantage in makes. 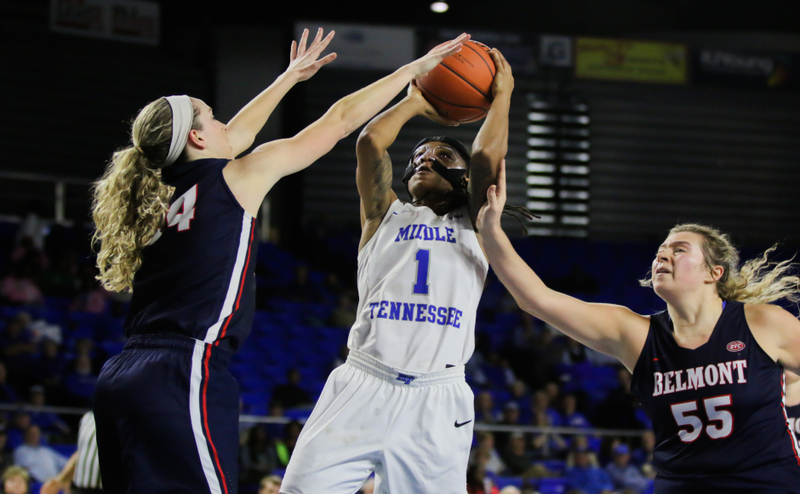 The Middle Tennessee Lady Raiders won big in a bounce-back victory against the Mississippi Valley Delta Devils by a score of 101-51 on Wednesday at home. This is tied for most scored in a game by the Lady Raiders, with the last time coming in January 2015 against Florida Atlantic. In the first half of the game, the Lady Raiders started off 62.9 percent from the field and 46.7 percent from three. Sophomore guard Anna Jones contributed to those three-point stats, going 5-6 from deep. Jones had 15 points in the first half. Senior forward Alex Johnson had 16 points and went 7-8 from the field. With Johnson and Jones making big plays for MTSU on the offensive side, they also played well on the defensive side with only allowing 17 points the whole first half and 14 turnovers. In the second half, the Lady Raiders started to get more of the underclassmen and other players to go in. Everyone on the team played tonight. The Lady Raiders shared the ball well too and had a total of 21 assists, which was the most this season. They only allowed 15 turnovers in game, too. With the team sharing more, they had more open looks from deep and made 12 three-pointers as well, which is one thing the team couldn’t do against the Bruins. They also had 20-second-chance points as well as 52 points in the paint. Even though there was a lot of offense, the way they played defense against the Delta Devils was the real key to them winning the game. Only allowing one three-pointer for three straight quarters is really hard to do, but this Lady Raider team kept closing out on the perimeter. They also only held the Devils to under 40 percent the whole first half from the field. The Delta Devils got in a scoring rhythm in the fourth quarter, but that was due to the Lady Raiders giving more minutes to underclassmen. The Lady Raiders finished up their Thanksgiving week by winning the UNLV Lady Rebel Round Up, beating both Dartmouth 70-58 and University of Nevada Las Vegas 66-62 on Saturday in Las Vegas. For the first game against the Big Green, the Lady Raiders had a big start by scoring 34 points in the first half. MTSU shot 46.4 percent from the field and 36.4 percent from three. They kept it up in the second half and shot 45.8 percent from the field and 46.2 percent from three. Freshmen Taylor Sutton led both teams with 17 points, three rebounds and three steals. Sutton shot 36.4 percent from three and went 3-6 from the free throw line. Sophomore Anna Jones also had a big night and scored 14 points, as she shot 71.4 percent from the field and 80 percent from three. It was Jones biggest and best night of shooting this season. The Lady Raiders started off hot in the next game against the Lady Rebels during the first half. They scored 37 points while shooting 53.8 percent from the field and 50 percent from three. However, their 16.7 percent shooting from the free throw line didn’t help. In the second, the Lady Rebels tried to pull off a comeback win, but with two good free throws from senior guard Jess Louro and good defense, the Lady Raiders won the game. Sutton played extremely well in this tournament and averaged 19.5 points per game. Sutton also won the Most Valuable Player award for her play with 22 points, three rebounds and one steal. Her 22 points are her season and career high as a Blue Raider. After a disappointing loss to Belmont to begin the week on Monday, the Lady Raiders came out of that and went on a three-game winning streak. Insell spoke about how he thought his team played in these big games after a troublesome performance and how the Lady Raiders responded. The Lady Raiders will play at home next for their Education Day game against Georgia State. Tip-off will begin at 11 a.m. on Nov. 29.